Interior Trim Appliques upgrade the look on the instrument panel (and door trim area on some vehicles). 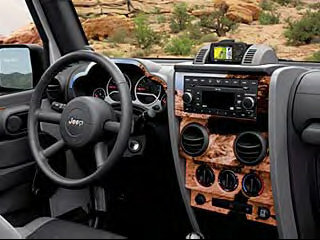 Available in a variety of wood, brushed aluminum or carbon fiber-style finishes(depending on vehicle application). Glovebox handle trim may not fit some 08 glovebox handles due to lock deletion.